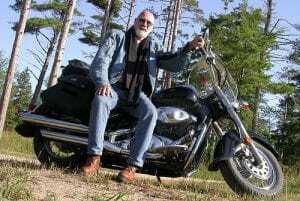 One day in 2006, after a 35 year hiatus from the sport of motorcycling Dave Johnson found himself riding north to Michigan’s Upper Peninsula. It was after this ride and the many more to come in the following years, that Dave got his inspiration for U.P. Cruising. In 2007 he created the U.P. Cruising website. Shortly thereafter he came up with the idea for U.P, Cruising Biker Discount program, which was his way of trying to bring bikers and U.P. biker friendly businesses together. In the following years, Dave looking for even more ways to bring attention to Michigan’s Upper Peninsula, created Just Ride Week, later to be named U.P. Bike Week. 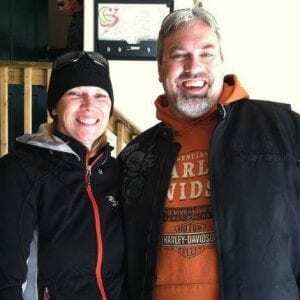 The event posted on motorcycling event calendars around the Internet caught the attention of bikers from around the country, many of them ex-Yoopers, who were inspired to climb aboard their bikes and make the trip back to the U.P. 2009 brought the first printed U.P. Cruising Travel Guide when Brad & Kathy Kolbus took over the business. They excelled at promoting motorcycle tourism in the Upper Peninsula to the point where thousands of motorcyclist and non-motorcyclists alike eagerly awaited the release of the new guide year after year. As of early 2019, they’ve sold U.P. Cruising and decided to devote their time and energy into growing their new business, Pictured Rocks Trading Company, located on one of the best motorcycle roads in the U.P. – the great H58, just outside of Munising.